The poem below was written by a teen aged girl. I am unaware of her name. 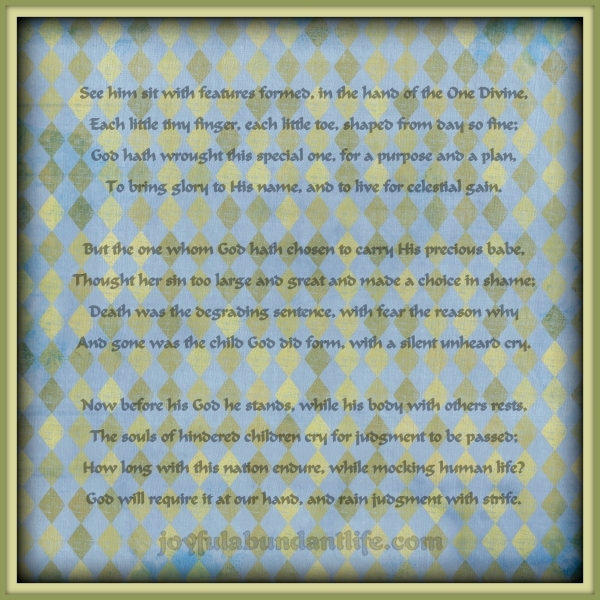 *Note: While the author of this blog does not believe in abortion, she does believe that God did not ordain sin nor the wrong choices people make. However, when a wrong choice is made, God is loving and forgiving and will take that wrong choice and use it for His glory when it is submitted to Him. Sanctity of Life Day is This Month. Take time to pray for our country.